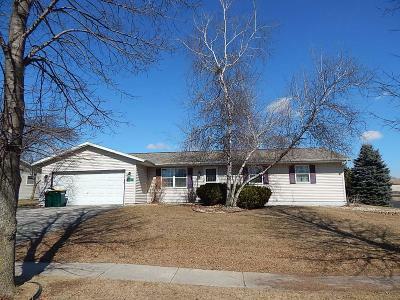 3+ bedroom / 3 full bath ranch home in West Park subdivision! Home is located on a corner lot and features some hardwood floors, family room w/natural fireplace, master bathroom, and finished rooms in lower level. Attached 2-car garage, large deck, and nicely landscaped lot. This home is handicapped accessible with built in ramp in the garage and deck area. Property is being sold in ''as is'' condition and there is no Real Estate Condition Report. Hurry before someone snags this one!